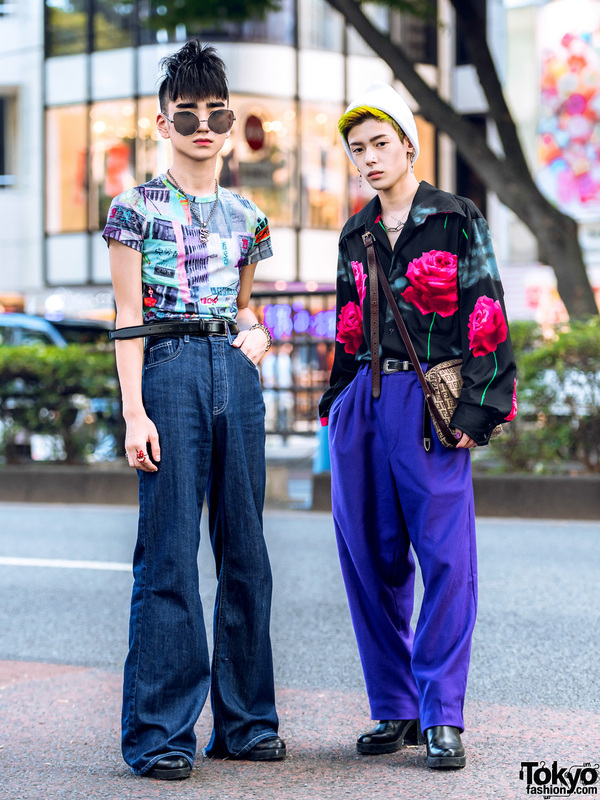 Harajuku teens sporting graphic print tops, denim flared pants, loose purple pants, leather shoes and accessories. Japanese teen students sporting sleek streetwear styles while out and about in Harajuku one evening. Blue-haired Harajuku student sporting a knit over black shirt, faux leather cutout pants, black lace-up shoes and a face print bag. 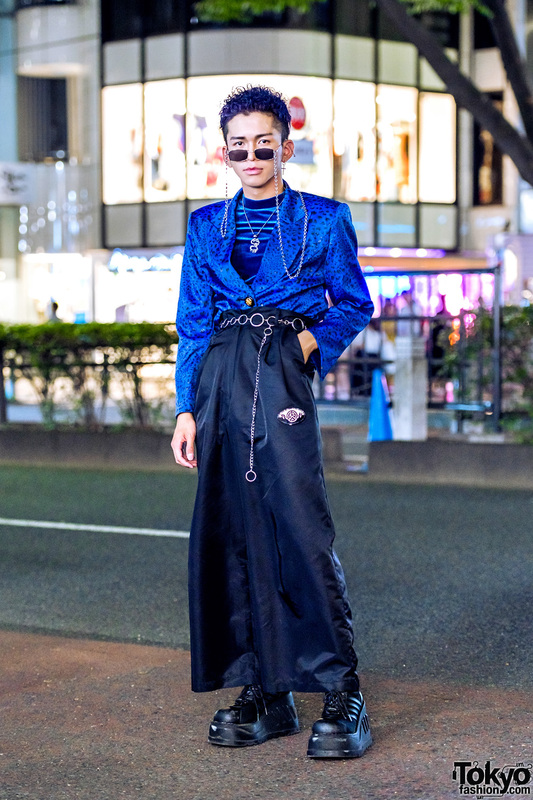 Japanese student in blue and black streetwear style with blazer over turtleneck top, wide leg pants, platform shoes and accessories.